The twelve parts that comprise The Sea are of a proportion far beyond aquatic, for their magic lies in the hands and hearts of four musicians who came together for a session as ever-changing as its namesake. The number would seem to be significant: months in a year, hours in a day, each a cycle rendered timeless through a story that bleeds and weeps. David Darling’s trembling cello lets out the first cry, eddying with all the force of nature at the edge of a bow. 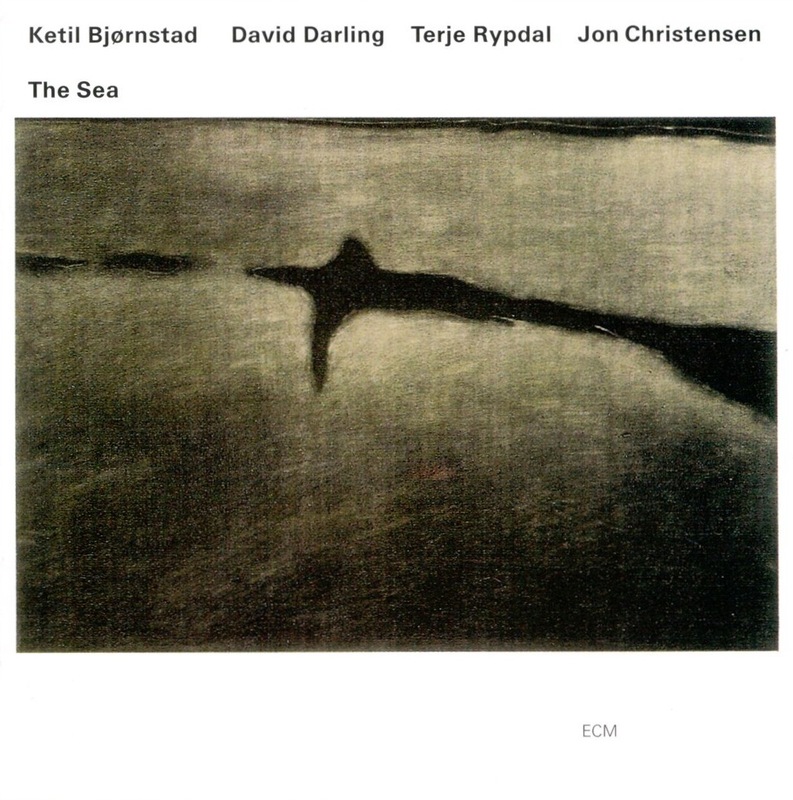 Pianist Ketil Bjørnstad therefrom unfurls a theme for the ages, drifting as might a reader’s eyes pass over the words of a favorite letter. As the hearts of the session, his keys drip glitter and shadow in equal, sometimes comingling, measure. Drummer Jon Christensen knocks at a ghostly door suspended above the horizon, leaving guitarist Terje Rypdal to complete the picture, breaching vapor and phosphorous. Such is the first ray of light to spoke from this sonic hub, spinning to the pulse of Bjørnstad’s heart-tugging ostinatos in a pregnant and billowing unity. Somehow, the stars feel closer, each a solar flare arcing into rebirth. But the breath is always damp, the air even more so, while the language falters to hold its shape in the presence of something so free. Of note is Part VIII, a duet between Bjørnstad and Darling that presages The River and a beautiful lead-in to an enchanting closing of the triangle. The spectrum of Christensen’s palette grows richly and organically as threads wind together, each color a drop into the inky cascade of its rapture. Part XII closes the album with Bjørnstad at his solemn best, far from shore. The power of this music is its ability to adapt to whatever mood you bring to it. The listener is its vessel. The Sea is also a remarkable feat of engineering, fully expressing ECM’s commitment not only to the evocation but also embodiment of concept. But though it might very well flourish in the flesh and machines that produced it, it ultimately flows from, and returns to, the currents of which it is composed. It really is one of the best, Stefano. I hear something new in it almost every time. Far more than the excellent Water Stories, this is a truly profound expression of so much more than simply music. One of my favorite releases, always on the play list – even our 27 year old daughter finds the first cut on this CD just essential listening, and has for many years. This may be my favorite Rypdal session. Great review!